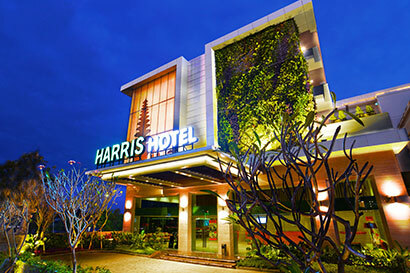 HARRIS KUTA GALLERIA is located just off Bali’s iconic landmark, Dewa Ruci Statue, famously known as Simpang Siur. Adjacent to Bali’s current biggest shopping mall. 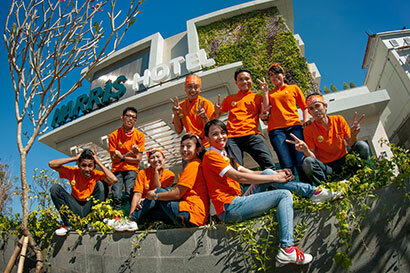 Strategically located on the main road of Bali. Just 5 minutes to Bali International Airport Ngurah Rai, 10 minutes to Kuta, Seminyak, Sanur, and 15 minutes to Nusa Dua.